The Austrian National Tourist Office (ANTO) is making history by being among the first in the world to run a digital ad campaign powered by blockchain technology. ANTO is participating in a pilot with Adbank, an Ethereum-based ad platform powered by the ADB token that aims to reduce ad fraud; a problem that will cost advertisers $51 million a day in 2018. The platform also aims to reduce fees by ad tech middlemen, some of which are marking up the cost of ads by up to 70% or more. The blockchain-powered ad campaign has another notable player in the mix with Red Bull Media House providing inventory on the publisher side via their alpine lifestyle publication Bergwelten. The Red Bull team agreed to participate in the campaign using Adbank's technology after a visit to their headquarters in Salzburg, Austria in April by co-founders Kelsey Cole and Angelo Dodaro. "It's exciting to see a country like Austria acknowledging the powerful use case that exists for advertising on the blockchain. This level of transparency between advertiser and publisher is unprecedented, especially for an organization like ANTO. For the first time advertisers like them can see where their money is going, rather than going into a 'black box' that shows data we know for a fact is questionable." Studies have shown that programmatic digital ad networks take 48 cents of every dollar on average and that's before ad fraud comes into the mix. Ad fraud is a particularly insidious issue in the industry with 56% of all website traffic being driven by bots & non-human traffic. Whether you are a corporation, small business or non-profit, blockchain technology has the power to clean up the murky areas of commerce and help advertisers understand how much of their budget actually goes towards reaching their intended audience. 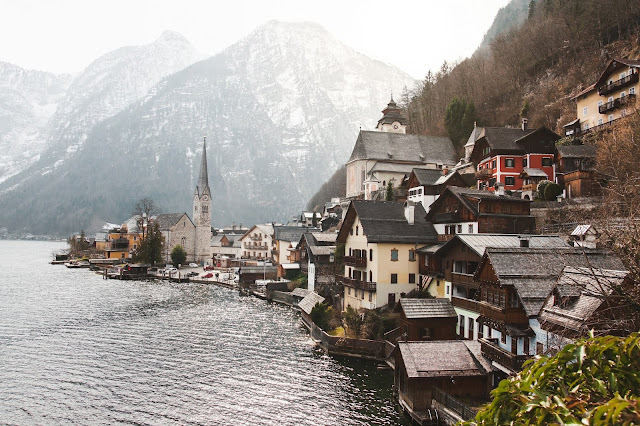 Michael Scheuch, Head of Brand Management for ANTO, had this to say about working with the up and coming cryptocurrency startup: "We are actively positioning Austria to be one of the premier global destinations to visit all year round. In the pilot with Adbank, one of the more interesting blockchain applications in the advertising sector, we hope to overcome on a global scale various difficulties within classic online advertising." Adbank completed their blockchain-based payment protocol in March that will work in combination with their patent-pending anti-fraud AI (artificial intelligence). They are one of the few ad tech companies in the world in the race to fix the advertising industry's problems with the tech that was birthed by Bitcoin: blockchain. According to the World Travel and Tourism Council, global governments spent a combined $413 billion in 2016 on promoting tourism in their local countries. "Markups and ad fraud cost the tourism industry billions per year and there is little to no accountability with the current advertising ecosystem. ANTO will be the first of many travel-focused partners to mark the beginning of an era where the advertiser has the control they deserve using Adbank's technology." says co-founder and CSO Kelsey Cole.